Bohol District Jail warden Chief Insp. Felipe Montejo and Gov. Edgar Chatto together with acting Vice-Governor Benjie Arcamo, Board Member Ricky Masamayor, Board Member Abel Damalerio, Acting Provincial Administrator John Boiser, BPPO PCR chief Supt. George Vale, Philippine Army 302nd Brigade CMO chief Captain Jojo Mascariñas, Engr. 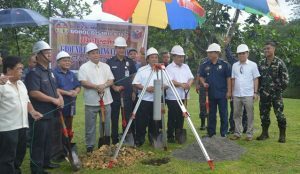 Evelyn Ayuban of the Provincial Engineering Office led the groundbreaking of the BDJ’s 10-cell extension in Barangay Cabawan, Tagbilaran City on Thursday. Local jail authorities and the provincial government held a groundbreaking ceremony for the 10-cell expansion project of the Bohol District Jail (BDJ) in Barangay Cabawan, Tagbilaran City on Thursday, paving way to the decongestion of the facility which has long been filled beyond capacity. 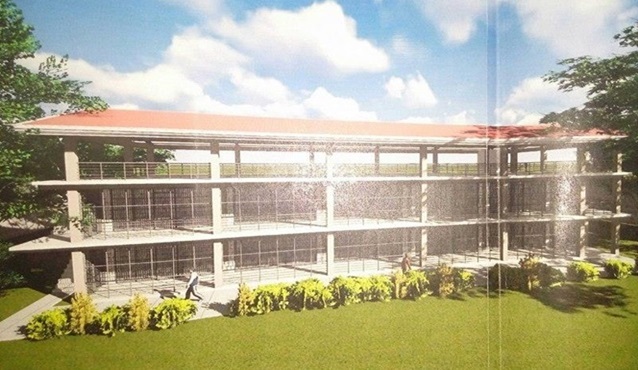 Construction of the P10-million structure is scheduled to start on November, said BDJ warden Chief Insp. Felipe Montejo who led the ceremony with Governor Edgar Chatto. According to Montejo, BDJ population has risen to 966 including 51 women, and the detainee count is expected to grow further amid the government’s continued crackdown on illegal drug activities. Around 70 percent of the facility’s detainees are facing drug charges, he said. As the BDJ only has a capacity of 400 people, detainees have resorted to taking turns in sleeping at night due to the lack of bed space, said Montejo. 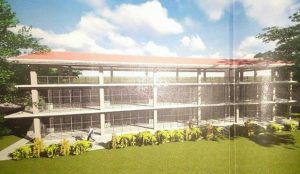 The multi-million fund for the facility’s expansion was approved early this year. Initial design for the 10-cell extension of the BDJ.